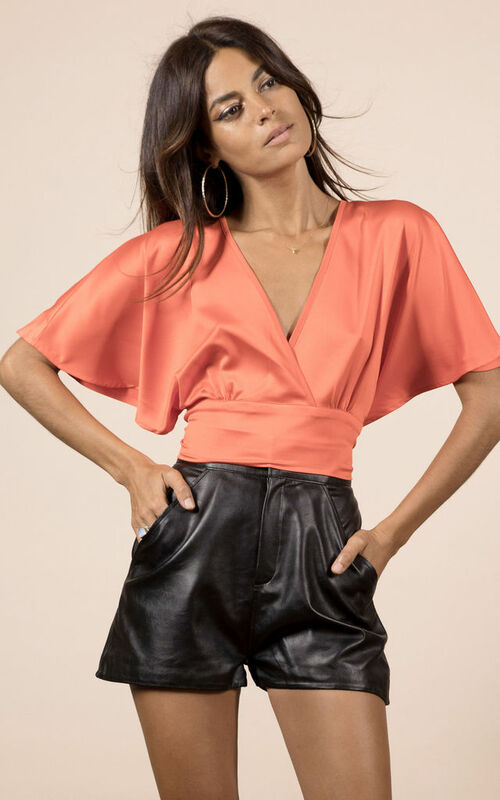 The stunning Muse top in orange, this cute winged sleeve top is a flattering new-season style. Featuring a v-neckline, and finished with a tie back. 100% Polyester with a silky feel.